Was the UK voting for Brexit a surprise? If so, it’s because we were oblivious to what has been going on with people for some time now. Lord Ashcroft’s survey shows us the UK electorate is deeply divided, but it is not primarily related to gender, generation or geography (Scotland and N. Ireland notwithstanding). So it is fair to say Brexit is also a repudiation of EU climate and energy policies, as explained here. There may be all kinds of reasons why I was sweating at ping-pong – but they don’t include global warming. Make no mistake: Both these gentlemen are unconventional and disruptive characters. 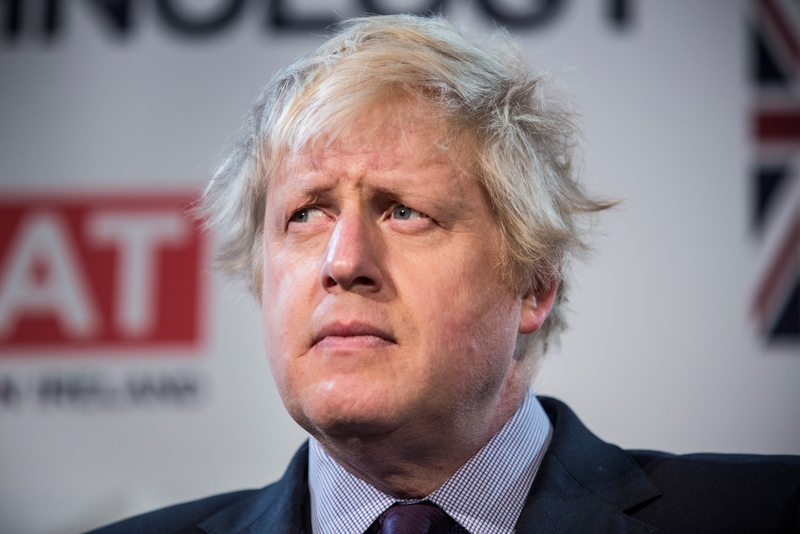 Boris will face much resistance to his replacing Cameron. And Donald cannot be trusted to be a reliable Republican conservative, as Paul Ryan well knows. Both are and will be denounced as “populists”, even “rabble-rousers”. Those and other such terms are always used by the elite whenever someone not in their club gains a following, becoming a political threat to those in power. Reminder: Marx defined ideology as the set of ideas by which the ruling class maintains their power over the population. In an insightful essay (here), William Briggs sees the Brexit result as reminding us that democratic voting is inherently destablilizing. Because the hoi polloi can not be trusted to think as the establishment wants. To the Republicans’ chagrin Trump is the one who consolidates the widespread resentment against the leftist, politically correct, authoritarian elite personified by Hilliary Clinton. In the same way Johnson was the face of the Brexit campaign victorious against the faceless EU bureaucracy. 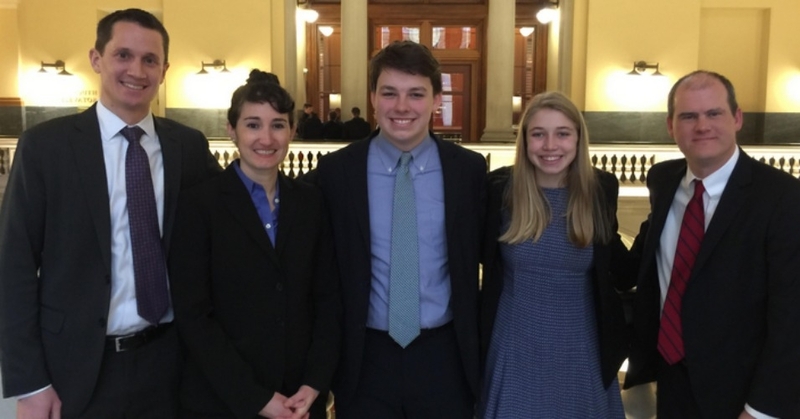 In Massachusetts, four teenagers, the Conservation Law Foundation and the Mass Energy Consumer Alliance brought the climate action case to court. “The global climate change crisis is a threat to the well being of humanity, and to my generation, that has been ignored for too long,” said one of the young prosecutors, Shamus Miller. Some addition background in response to questions from Frederick Colbourne. Massachusetts is ripe for this legal suit because the state passed legislation endorsing the threat of climate change and subscribing to targets for reducing emissions. This legal strategy is along the lines of “Sue and Settle” tactic employed in the past to expand the regulatory scope of the EPA. Part of this latest charade is for the state to offer a token defense so that the court requires them to do what they want to do anyways, but now armed with additional ammunition against resisters. Note also the bait and switch: Climate change is not at issue, it is all about meeting emissions targets. It should serve also as a cautionary tale to any jurisdiction that thinks they can pass lip-service legislation and get away with politically-correct posturing. Recent posts have stressed the complexity of climates and their component variables. However, global warming was invented on the back of a single metric: rising global mean temperatures the last decades of last century. That was de-emphasized during the “pause” but re-emerged lately with the El-Nino-induced warming. So this post is focusing on that narrow aspect of climate change. There are several papers on this blog referring to a quasi-60 year oscillation of surface temperatures due to oceanic circulations. I have also noted the attempts by many to make the link between solar activity (SA) and earth climate patterns. Dan Pangburn is a professional engineer who has synthesized the solar and oceanic factors into a mathematical model that correlates with Average Global Temperature (AGT). On his blog is posted a monograph (here) Cause of Global Climate Change explaining clearly his thinking and the maths. I am providing some excerpts and graphs as a synopsis of his analysis, in hopes others will also access and appreciate his work on this issue. At this point, it appears reasonable to consider two temperature anomaly data sets extending through 2015. These are co-plotted on Figure 8. 1) The set used previously  through 2012 with extension 2013-2015 set at the average 2002-2012 (when the trend was flat) at 0.4864 K above the reference temperature. 2) Current (5/27/16) HadCRUT4 data set  through 2012 with 2013-2015 set at the average 2002-2012 at 0.4863 K above the reference temperature. Accuracy of the model is determined using the Coefficient of Determination, R 2, to compare calculated AGT with measured AGT. Approximation of the sea surface temperature anomaly oscillation can be described as varying linearly from –A/2 K in 1909 to approximately +A/2 K in 1941 and linearly back to the 1909 value in 1973. This cycle repeats before and after with a period of 64 years. Figure 1: Ocean surface temperature oscillations (α-trend) do not significantly affect the bulk energy of the planet. Ocean cycles are perceived to contribute to AGT in two ways: The first is the direct measurement of sea surface temperature (SST). The second is warmer SST increases atmospheric water vapor which acts as a forcing and therefore has a time-integral effect on temperature. The approximation, (A,y), accounts for both ways. Successful accounting for oscillations is achieved for PDO and ENSO when considering these as forcings (with appropriate proxy factors) instead of direct measurements. As forcings, their influence accumulates with time. The proxy factors must be determined separately for each forcing. 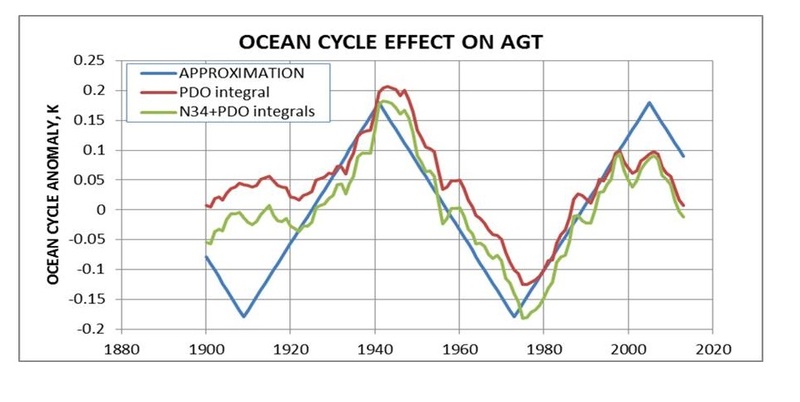 Figure 2: Comparison of idealized approximation of ocean cycle effect and the calculated effect from PDO and ENSO. The AMO index  is formed from area-weighted and de-trended SST data. It is shown with two different amounts of smoothing in Figure 3 along with the saw-tooth approximation for the entire planet per Equation (2) with A = 0.36. The high coefficients of determination in Table 1 and the comparisons in Figures 2 and 3 corroborate the assumption that the saw-tooth profile with a period of 64 years provides adequate approximation of the net effect of all named and unnamed ocean cycles in the calculated AGT anomalies. An assessment of this is that sunspots are somehow related to the net energy retained by the planet, as indicated by changes to average global temperature. Fewer sunspots are associated with cooling, and more sunspots are associated with warming. Thus the hypothesis is made that SSN are proxies for the rate at which the planet accumulates (or loses) radiant energy over time. Therefore the time-integral of the SSN anomalies is a proxy for the amount of energy retained by the planet above or below breakeven. Also, a lower solar cycle over a longer period might result in the same increase in energy retained by the planet as a higher solar cycle over a shorter period. 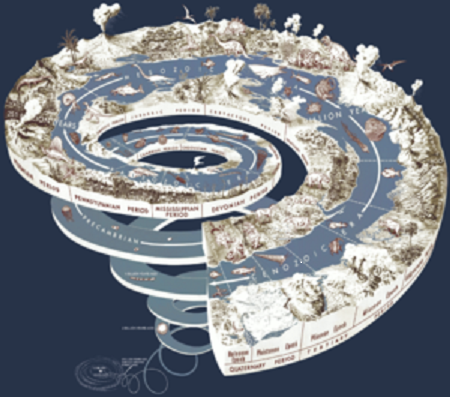 Both magnitude and time are accounted for by taking the time-integral of the SSN anomalies, which is simply the sum of annual mean SSN (each minus Savg) over the period of study. The values for Savg are subject to two constraints. Initially they are determined as that which results in derived coefficients and maximum R2. However, calculated values must also result in rational values for calculated AGT at the depths of the Little Ice Age. The necessity to calculate a rational LIA AGT is a somewhat more sensitive constraint. The selected values for Savg result in calculated LIA AGT of approximately 1 K less than the recent trend which appears rational and is consistent with most LIA AGT assessments. The sunspot number anomaly time-integral is a proxy for a primary driver of the temperature anomaly β-trend. By definition, energy change divided by effective thermal capacitance is temperature change. Projections until 2020 use the expected sunspot number trend for the remainder of solar cycle 24 as provided  by NASA. After 2020 the ‘limiting cases’ are either assuming sunspots like from 1924 to 1940 or for the case of no sunspots which is similar to the Maunder Minimum. Some noteworthy volcanoes and the year they occurred are also shown on Figure 9. No consistent AGT response is observed to be associated with these. Any global temperature perturbation that might have been caused by volcanoes of this size is lost in the natural fluctuation of measured temperatures. Although the connection between AGT and the sunspot number anomaly time-integral is demonstrated, the mechanism by which this takes place remains somewhat speculative. Various papers have been written that indicate how the solar magnetic field associated with sunspots can influence climate on earth. These papers posit that decreased sunspots are associated with decreased solar magnetic field which decreases the deflection of and therefore increases the flow of galactic cosmic rays on earth. These papers [14,15] associated the increased low-altitude clouds with increased albedo leading to lower temperatures. Increased low altitude clouds would also result in lower average cloud altitude and therefore higher average cloud temperature. Although clouds are commonly acknowledged to increase albedo, they also radiate energy to space so increasing their temperature increases S-B radiation to space which would cause the planet to cool. Increased albedo reduces the energy received by the planet and increased radiation to space reduces the energy of the planet. Thus the two effects work together to change the AGT of the planet. Simple analyses  indicate that either an increase of approximately 186 meters in average cloud altitude or a decrease of average albedo from 0.3 to the very slightly reduced value of 0.2928 would account for all of the 20th century increase in AGT of 0.74 K. Because the cloud effects work together and part of the temperature change is due to ocean oscillation (low in 1901, 0.2114 higher in 2000), substantially less cloud change would suffice. All of this leaves little warming left to attribute to rising CO2. 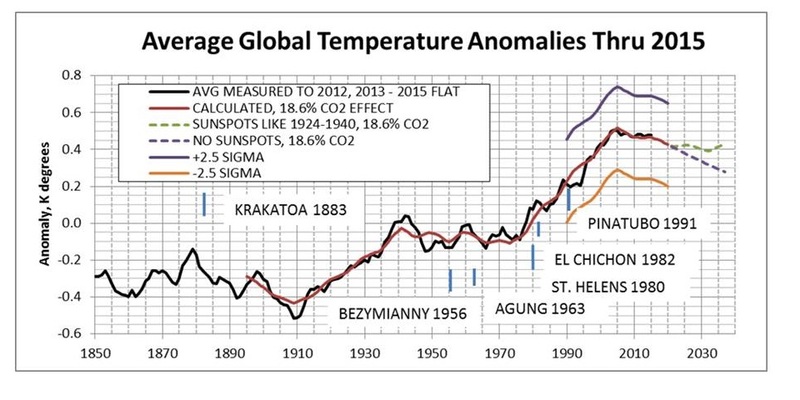 Pangburn estimates CO2 forcing could be at most 18.6% or 0.23C added since 1895. Given uncertainties in proxies from the past, the estimate could be as low as 0.05C, and the correlation with natural factors would still be .97 R2. However, all is not lost for CO2. It is still an important player in the atmosphere, despite its impotence as a warming agent. The slogan “Think Global, Act Local” began with multinational corporations realizing that national and regional markets around the world had distinct needs and preferences requiring accommodations. As the name implies it refers to the corporate strategy by which a global viewpoint is adopted in terms of formulating company vision, long-term aims and objectives and devising effective programs to achieve these aims and objectives, however, adaptations are made in each market according to the culture and specifications of any specific market. Environmental activists took the notion on board during the first wave becoming aware of globalization. Early bearers of the catchphrase were for the most part supporters of an environmental movement that supported individual activism. The theory behind the saying was that in order to make large-scale global movements stick, the responsibility lay on individuals to carry out progressive practices – like environmental stewardship – in their own homes. The globe had become the new frame of reference for some far-thinking activists. Clearly “climate change” activism operates in this mode. But as we shall see in this essay, the top-down, Global-Local approach to understanding climate and weather leads to distortions and misconceptions. In fact, climate science itself is best served by observing and establishing principles from the bottom up. About 1 meter a year is the nominal average of all rain over all surfaces. Some places get up to 10 meters of rain (about 400 inches ) and others get near none. 47% of the earth is considered dryland, defined as anyplace where the rate of evaporation/transpiration exceeds the rate of precipitation. A desert is defined as a dryland with less than 25 cm of precipitation. In the image above, polar deserts are remarkably defined. It just does not have much hope of precipitation as there is little heat to move the water. More heat in, more water movement. Less heat in, less water movement. Then there’s the seasonal patterns. The band of maximum rains moves with the sun: More north in June, more south in December. More sun, more heating, more rain. Movement in sync with the sun, little time delay. Equatorial max solar heat has max rains. Polar zones minimal heating, minimal precipitation. It’s a very tightly coupled system with low time lags. much less variability in the zonal direction in the S. H.
Globally averaged values of CLW and CSW are about 30 and −45 W m−2, respectively. Net cloud forcing is then −15 W m−2. It represents radiative cooling of the Earth-atmosphere system. This is four times as great as the additional warming of the Earth’s surface that would be introduced by a doubling of CO2. But clearly during Northern winter (diagrams above), that net cooling occurs largely over the Southern Ocean around Antarctica. What happens when you average all this diversity? We have all seen graphs showing how climate models project unrealistic global mean temperatures higher than those measured by stations or satellites. 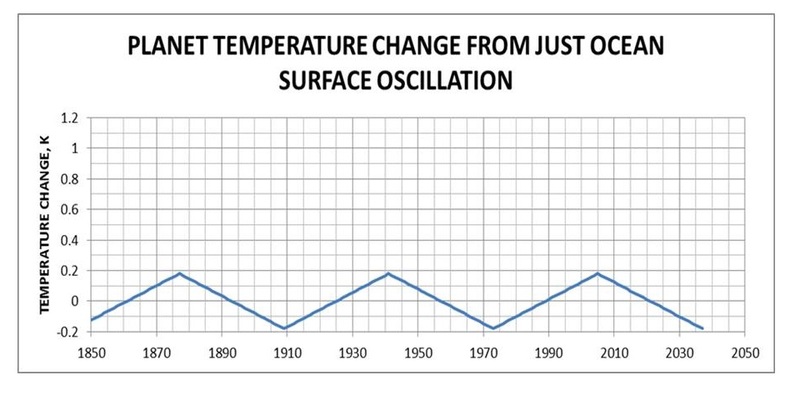 But Dr. Salby in his textbook points to a more fundamental failing of the climate simulations. By construction they balance global average energy budgets, but regional realities are grossly distorted. Figure 8.4. Root-mean-square (RMS) model error, as a function of latitude, in simulation of (a) outgoing SW radiation reflected to space and (b) outgoing LW radiation. The RMS error is calculated over all longitudes and over all 12 months of a climatology formed from several years of data. . .The Earth Radiation Budget Experiment (ERBE; Barkstrom et al., 1989) observational estimates used here are for the period 1985 to 1989 from satellite-based radiometers, and the model results are for the same period in the 20th-century simulations in the MMD at PCMDI. Symbolizing the local energy budget is net radiation (Fig. 1.34c), which represents the local imbalance between the SW and LW fluxes F0 and F ↑(0) in the TOA energy budget (8.82). Local values of those fluxes have been measured around the Earth by the three satellites of ERBE. The observed fluxes, averaged over time, have then been compared against coincident fluxes from climate simulations, likewise averaged. Figure 8.34 plots, for several GCMs, the rms error in simulated fluxes, which have been referenced against those observed by ERBE. Values represent the regional error in the (time-mean) TOA energy budget. The error in reflected SW flux, Fs 4 − F0 in the global mean (8.82), is of order 20 Wm−2 (Fig. 8.34a). Such error prevails at most latitudes. Differences in error between models (an indication of intermodel discrepancies) are almost as large, 10–20 Wm−2. The picture is much the same for outgoing LW flux (Fig. 8.34b). For F ↑(0), the rms error is of order 10–15 Wm−2. It is larger for all models in the tropics, where the error exceeds 20 Wm−2. . .Consequently, the simulated change introduced by increased CO2 (2–4 Wm−2), even inclusive of feedback, is overshadowed by error in the simulated change of major absorbers. A common expression is: “The devil is in the details.” When it comes to climate, it is truer to say that we humans are bedeviled (thwarted) by nature’s details refusing to fit into our global generalities. The proper role of science is to investigate those details and revise our mental constructs. “Global Climate” is an oxymoron. (oxymoron: A figure of speech in which two words with opposing meanings are used together intentionally for effect; IOW a contradiction in terms. From the Greek: pointed foolishness). for the range of future weather consequences. Murry Salby is also totally committed to the atmosphere. He is a scientist with such deep and broad knowledge of atmospheric physics that he has written multiple textbooks on the subject. And yet he is not fearful for the future of our climate system, in contrast to many of his colleagues. By stepping away from “consensus” climate alarms, he has shown unusual courage by speaking plainly about the atmosphere and climate, despite attempts to silence him. Dr. Salby’s latest textbook is entitled Physics of the Atmosphere and Climate (here). I got a copy and have been reading in it to understand where he comes down on various issues related to climate change. In particular I wanted to know what explains his divergence from IPCC climate scientists. In reading the textbook, I find two main reasons why Salby is skeptical of AGW (anthropogenic global warming) alarm. This knowledgeable book is an antidote to myopic and lop-sided understandings of our climate system. CO2 Alarm is Myopic: Claiming CO2 causes dangerous global warming is too simplistic. CO2 is but one factor among many other forces and processes interacting to make weather and climate. 2. CO2 Alarm is Lopsided: CO2 forcing is too small to have the overblown effect claimed for it. 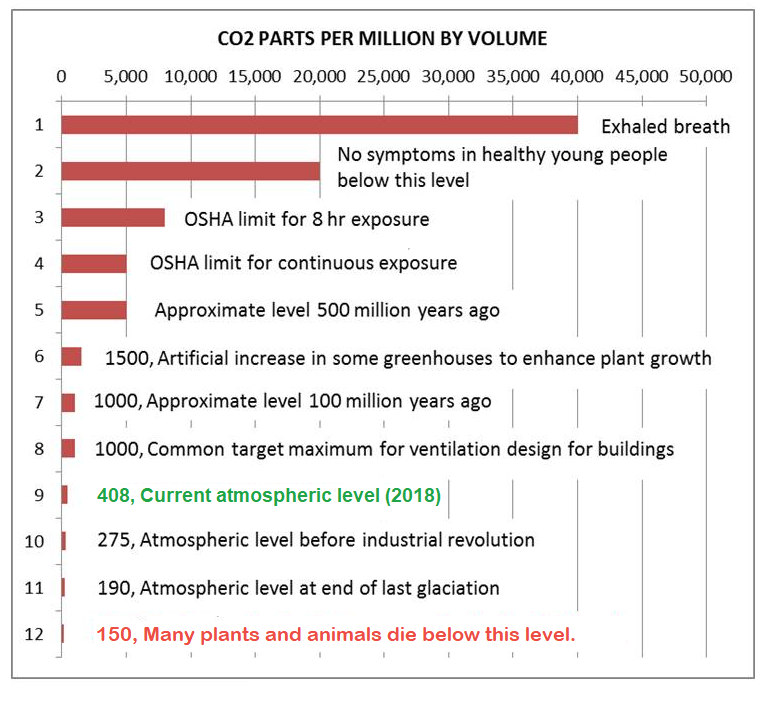 Other factors are orders of magnitude larger than the potential of CO2 to influence the climate system. Salby’s textbook presents all of the physical complexity of the climate system in contrast to simplistic global warming theory. And he provides his sense of the Scales of the various processes, balancing any lopsided overemphasis on CO2 effects. Despite technological advances in observing the Earth-atmosphere system and in computing power, strides in predicting its evolution reliably – on climatic time scales and with regional detail – have been limited. The pace of progress reflects the interdisciplinary demands of the subject. Reliable simulation, adequate to reproduce the observed record of climate variation, requires a grasp of mechanisms from different disciplines and of how those mechanisms are interwoven in the Earth-atmosphere system. 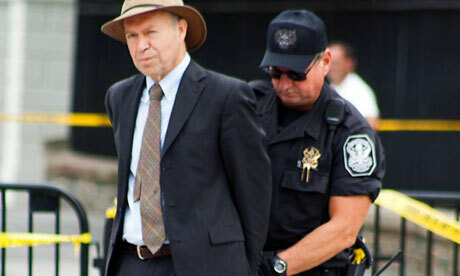 What is today labeled climate science includes everything from archeology of the Earth to superficial statistics and a spate of social issues. Yet, many who embrace the label have little more than a veneer of insight into the physical processes that actually control the Earth-atmosphere system, let alone what is necessary to simulate its evolution reliably. Without such insight and its application to resolve major uncertainties, genuine progress is unlikely. The atmosphere is the heart of the climate system, driven through interaction with the sun, continents, and ocean. It is the one component that is comprehensively observed. For this reason, the atmosphere is the central feature against which climate simulations must ultimately be validated. 5. Interaction with the Ocean and Stratosphere. Below I show some of the written statements from the textbook to illustrate how his knowledge counteracts myopic and lopsided thinking. Focusing on CO2 from burning fossil fuels is myopic: A multitude of natural sources drive atmospheric concentrations. in GtC, and transfers in GtC/yr, where 1 GtC=109 tons of carbon. Source: Design by Philippe Rekacewicz, UNEP/GRID-Arendal (11.07.10). The storage of CO2 is illustrated in Fig. 17.11. Except for deep sedimentary rock, which is sequestered, most of the carbon is stored in the ocean. It accounts for some 40,000 gigatons (1012 kg) of carbon (GtC), in the form of dissolved CO2 and organic matter. Most resides in the deep ocean, where cold water supports the greatest observed concentrations. There, dissolved CO2 is controlled by the thermohaline circulation. Land and the adjoining biosphere account for only about 2000 GtC. The atmosphere contains less than 1000 GtC, concentrated in CO2. Hence, the store of carbon in the ocean is two orders of magnitude greater than the store in the atmosphere. Equally significant are transfers of carbon into and out of the ocean. Of order 100 GtC/yr, they exceed those into and out of land. Together, emission from ocean and land sources (∼150 GtC/yr) is two orders of magnitude greater than CO2 emission from combustion of fossil fuel. These natural sources are offset by natural sinks, of comparable strength. However, because they are so much stronger, even a minor imbalance between natural sources and sinks can overshadow the anthropogenic component of CO2 emission (cf Secs 1.6.2, 8.7.1). The values in Fig. 17.11 can be used to estimate the effective turnover time of atmospheric CO2. At an absorption rate of 100 GtC/yr, the ocean will absorb the atmospheric store of CO2 of 1000 GtC in about a decade. That absorption of CO2, which is concentrated in cold SST at polar latitudes, is nearly offset by emission of CO2 from warm SST at tropical latitudes. Warming of SST (by any mechanism) will increase the outgassing of CO2 while reducing its absorption. Owing to the magnitude of transfers with the ocean, even a minor increase of SST can lead to increased emission of CO2 that rivals other sources (Sec. 8.7.1). Further, if the increase of SST involves heat transfer with the deep ocean, the time for equilibrium to be reestablished would be centuries (Sec. 17.1.2). Attributing rising temperatures to fossil fuels is lop-sided: Natural sinks respond to warming by releasing CO2 in far greater quantities. Net emission rate of CO2, r˙ CO2 = d dt rCO2 (ppmv/yr), derived from the Mauna Loa record (Fig. 1.15), lowpass filtered to changes that occur on time scales longer than 2 years (solid). Superimposed is the satellite record of anomalous Global Mean Temperature (Fig. 1.39), lowpass filtered likewise and scaled by 0.225 (dashed). Trend in GMT over 1979–2009 (not included) is ∼0.125 K/decade. Net emission of CO2 closely tracks the evolution of GMT. Achieving a correlation of 0.80, the variation of GMT accounts for most of the variance in CO2 emission. Plotted in Fig. 1.43b is the rate of change in isotopic composition, d dt δ13C = ˙ δ13C (solid).12 Its mean is negative, consistent with the long-term decline of δ13C in ice cores (Fig. 1.14). However, like emission of CO2, differential emission of 13CO2 varies substantially from one year to the next. It too tracks the evolution of GMT – just out of phase. When GMT increases, emission of 13CO2 decreases and vice versa. The records achieve a correlation of −0.86. Hence the variation of GMT, which accounts for most of the variance in emission of CO2, also accounts for most of the variance in differential emission of 13CO2. The out-of-phase relationship between rCO2 and δ13C in the instrumental record (Fig. 1.43) is the same one evidenced on longer time scales by ice cores (Fig. 1.14). The out-of-phase relationship in ice cores is regarded as a signature of anthropogenic emission, subject to uncertainties (Sec. 1.2.4). The out-of-phase relationship in the instrumental record, however, is clearly not anthropogenic. Swings of GMT following the eruption of Pinatubo and during the 1997–1998 El Nino were introduced through natural mechanisms (cf. Figs 1.27; 17.19, 17.20). Changes in Fig. 1.43 reveal that net emission of CO2, although 13C lean, is accelerated by increased surface temperature. Outgassing from ocean, which increases with temperature (Sec. 17.3), is consistent with the observed relationship – if the source region has anomalously low δ13C. So is the decomposition of organic matter derived from vegetation. Having δ13C comparable to that of fossil fuel, its decomposition is likewise accelerated by increased surface temperature. Focusing on CO2 as the greenhouse gas of concern is both myopic and lop-sided: H20 makes 98% of the IR radiative activity in the atmosphere. The radiative-equilibrium surface temperature Ts is significantly warmer than that in the absence of an atmosphere. The discrepancy between Ts and Te follows from the different ways the atmosphere processes SW and LW radiation. Although nearly transparent to SW radiation (wavelengths λ ∼ 0.5 μm), the atmosphere is almost opaque to LW radiation (λ ∼ 10 μm) that is re-emitted by the Earth’s surface. For this reason, SW radiation passes relatively freely to the Earth’s surface, where it can be absorbed. However, LW radiation emitted by the Earth’s surface is captured by the overlying air, chiefly by the major LW absorbers: water vapor and cloud. Energy absorbed in an atmospheric layer is reemitted, half upward and half back downward. The upwelling re-emitted radiation is absorbed again in overlying layers, which subsequently re-emit that energy in similar fashion. This process is repeated until LW energy is eventually radiated beyond all absorbing components of the atmosphere and rejected to space. By inhibiting the transfer of energy from the Earth’s surface, repeated absorption and emission by intermediate layers of the atmosphere traps LW energy, elevating surface temperature over what it would be in the absence of an atmosphere. The residual, +1.5 Wm−2, represents net warming. It is about 0.5% of the 327 Wm−2 of overall downwelling LW radiation that warms the Earth’s surface (Fig. 1.32). The vast majority of that warming is contributed by water vapor. Together with cloud, it accounts for 98% of the greenhouse effect. How water vapor has changed in relation to changes of the comparatively minor anthropogenic species (Fig. 8.30) is not known. The additional surface warming introduced by anthropogenic increases in greenhouse gases amounts to about 75% of that which would be introduced by a doubling of CO2. Arrhenius’ estimate of 5–6◦ K for the accompanying increase of surface temperature (Sec. 1.2.4) then translates into ∼4◦ K. Yet, the observed change of global-mean temperature since the mid nineteenth century is only about 1◦ K (Sec. 1.6.1). 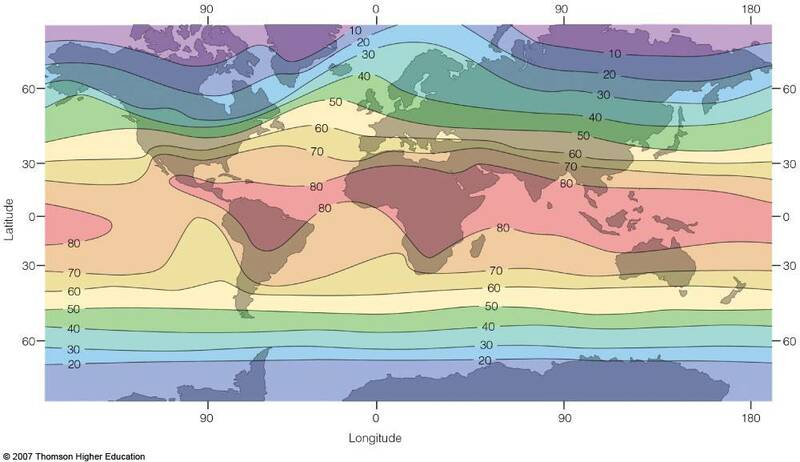 The discrepancy points to changes of the Earth-atmosphere system (notably, involving the major absorbers, water vapor and cloud) that develop in response to imposed perturbations, like anthropogenic emission of CO2. Focusing on CO2 radiative activity is myopic: The tropospheric heat engine comprises many powerful heat transfer processes. 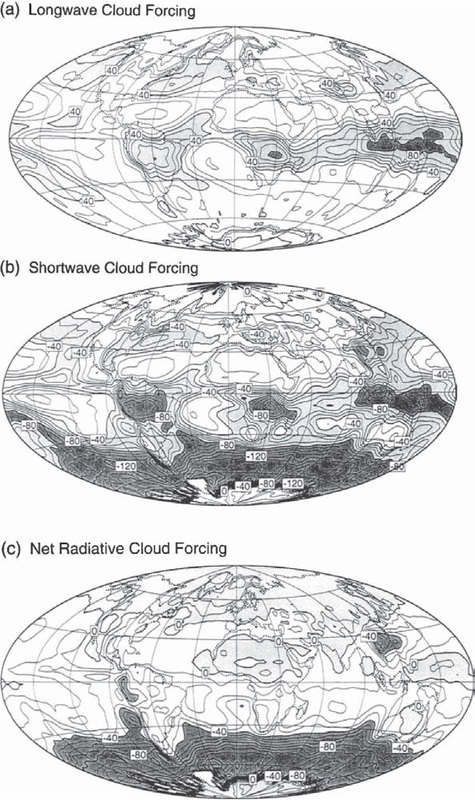 Figure 9.40 Cloud radiative forcing during northern winter derived from ERBE measurements on board the satellites ERBS and NOAA-9 for the (a) LW energy budget, (b) SW energy budget, and (c) net radiative energy budget. Courtesy of D. Hartmann (U. Washington). A quantitative description of how cloud figures in the global energy budget is complicated by its dependence on microphysical properties and interactions with the surface. These complications are circumvented by comparing radiative fluxes at TOA under cloudy vs clear-sky conditions. Over a given region, the column-integrated radiative heating rate must equal the difference between the energy flux absorbed and that emitted to space. The components of cloud forcing (9.53) can be evaluated directly from broadband fluxes of outgoing LW and SW radiation that are measured by satellite. Figure 9.40 shows time-averaged distributions of CSW , CLW , and C. Longwave forcing (Fig. 9.40a) is large in centers of deep convection over tropical Africa, South America, and the maritime continent, where CLW approaches 100 W m−2 (cf. Fig. 1.30b). Secondary maxima appear in the maritime ITCZ and in the North Pacific and North Atlantic storm tracks (Sec. 1.2.5). Shortwave forcing (Fig. 9.40b) is strong in the same regions, where CSW < −100 W m−2. Negative SW forcing is also strong over extensive marine stratocumulus in the eastern oceans and over the Southern Ocean, coincident with the storm track of the Southern Hemisphere. Inside the centers of deep tropical convection, SW and LW cloud forcing nearly cancel. They leave small values of C throughout the tropics (Fig. 9.40c). Negative CSW in the storm tracks and over marine stratocumulus then dominates positive CLW , especially over the Southern Ocean. It prevails in the global-mean cloud forcing. Globally averaged values of CLW and CSW are about 30 and −45 W m−2, respectively. Net cloud forcing is then −15 W m−2. It represents radiative cooling of the Earth-atmosphere system. This is four times as great as the additional warming of the Earth’s surface that would be introduced by a doubling of CO2. Latent heat transfer to the atmosphere (Fig. 1.32) is 90 W m−2. It is an order of magnitude greater. Consequently, the direct radiative effect of increased CO2 would be overshadowed by even a small adjustment of convection (Sec. 8.7). Trusting climate models driven by CO2 sensitivity is lop-sided: Natural climate factors are poorly quantified but are orders of magnitude larger than estimated CO2 effects. Global climate models are sophisticated extensions of the idealized models considered above. Treatments of climate properties in different GCMs are as varied as they are complex. For some properties, like cloud cover, ice, and vegetation, they must resort to empirical relationships or simply ad hoc parameterization. For others, the governing equations cannot even be defined. 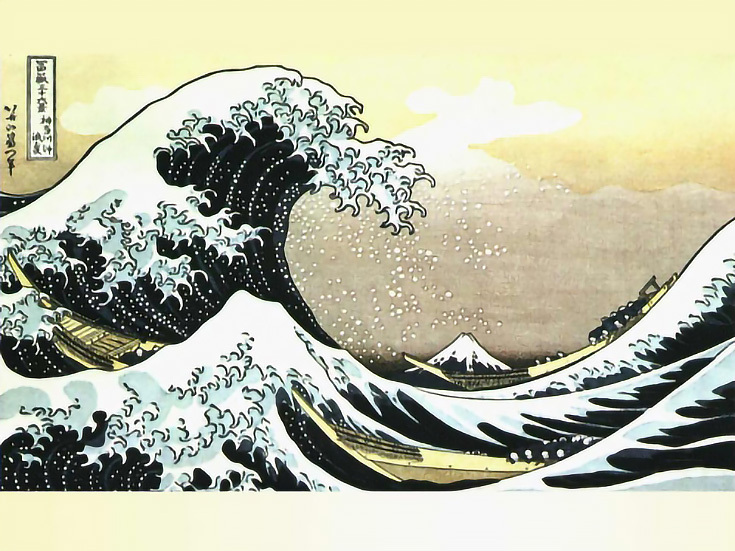 Together with the ocean simulation, these limitations introduce errors, which can be substantial. Along with discrepancies between GCMs, they leave in question how faithfully climate feedbacks are represented (see, e.g., Tsushima and Manabe, 2001; Lindzen and Choi, 2009). The accuracy of GCMs is reflected in the skill with which they simulate the TOA energy budget: the driver of climate. By construction, GCMs achieve global-mean energy balance. How faithfully the energy budget is represented locally, however, is another matter. The local energy budget forces regional climate, along with the gamut of weather phenomena that derive from it. This driver of regional conditions is determined internally – through the simulation of local heat flux, water vapor, and cloud. Symbolizing the local energy budget is net radiation (Fig. 1.34c), which represents the local imbalance between the SW and LW fluxes F0 and F ↑(0) in the TOA energy budget (8.82). Local values of those fluxes have been measured around the Earth by the three satellites of ERBE. The observed fluxes, averaged over time, have then been compared against coincident fluxes from climate simulations, likewise averaged. Figure 8.34 plots, for several GCMs, the rms error in simulated fluxes, which have been referenced against those observed by ERBE. Values represent the regional error in the (time-mean) TOA energy budget. The error in reflected SW flux, Fs 4 − F0 in the global mean (8.82), is of order 20 Wm−2 (Fig. 8.34a). Such error prevails at most latitudes. Differences in error between models (an indication of intermodel discrepancies) are almost as large, 10–20 Wm−2. The picture is much the same for outgoing LW flux (Fig. 8.34b). For F ↑(0), the rms error is of order 10–15 Wm−2. It is larger for all models in the tropics, where the error exceeds 20 Wm−2. The significance of these discrepancies depends on application. Overall fluxes at TOA are controlled by water vapor and cloud (Fig. 1.32) – the major absorbers that account for the preponderance of downwelling LW flux to the Earth’s surface. Relative to those fluxes, the errors in Fig. 8.34 are manageable: Of order 10% for outgoing LW and 20% for reflected SW. Relative to minor absorbers, however, this is not the case. The entire contribution to the energy budget from CO2 is about 4 Wm−2. Errors in Fig. 8.34 are an order of magnitude greater. Consequently, the simulated change introduced by increased CO2 (2–4 Wm−2), even inclusive of feedback, is overshadowed by error in the simulated change of major absorbers. Discrepancies between GCMs arise from inaccuracies in climate properties and from differences in how those properties are represented. Much of the discrepancy surrounds the representation of convection and its influence on water vapor and cloud, the absorbers that account for most of the downwelling LW flux to the Earth’s surface. The involvement of convection is strongly suggested by models of radiative-convective equilibrium. Those simulations are inherently sensitive to how convection and cloud are prescribed. Cloud is especially significant to radiative considerations because it sharply modifies the atmosphere’s scattering characteristics, which determine albedo, and its absorption characteristics, which determine optical depth. Best wishes to Dr. Salby and much appreciation for telling it like it is. 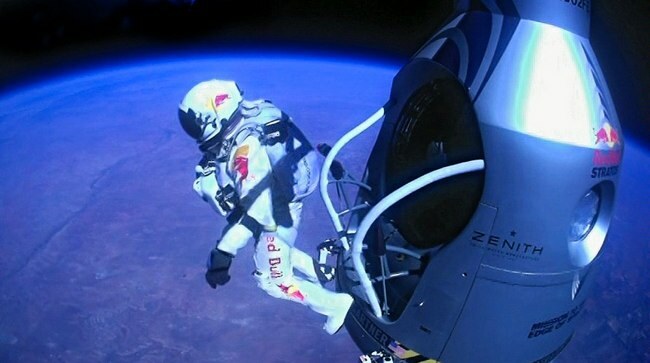 May you also nail your landing as did Fearless Felix. US Navy predicts summer ice free Arctic by 2016. 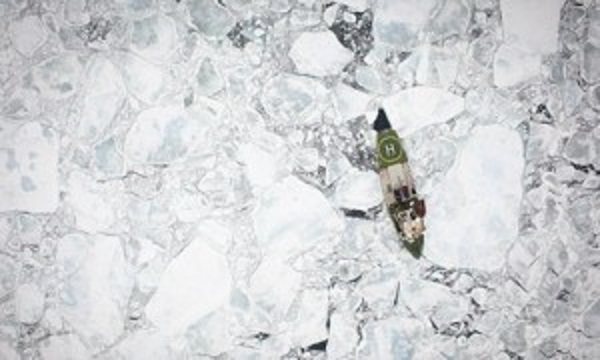 Greenpeace icebreaking ship, Arctic Sunrise, among broken floes of Arctic sea ice, photographed from the air. This image was taken in the Fram Strait. Greenpeace doing their bit to create more open water. In the chart below MASIE shows June Arctic ice extent has drawn nearer average and close to 2015 at this point in the year. This year and last had the same average extents until May when a gap opened up associated with the Beaufort gyre high winds breaking up and moving ice to create 150k km2 open water in that sea. The difference in Beaufort Sea is now ~40k km2 between 2016 and 2015. Looking into the details, some marginal seas are melting earlier than last year, while the central, enduring ice pack is relatively unaffected. In fact, a large difference between 2016 and 2015 comes from the losses from maximums in a single place: Sea of Okhotsk: To date 1275k km2 of ice lost this year vs. 740k km2 lost in 2015 in that sea at the same date. Despite greater losses in Okhotsk, 2016 ice extent in June is nearly typical with slight differences across the regions. At the present pace of declining ice extents, 2016 is virtually tied with 2015 and running four days ahead of the ten-year average. As the chart below shows, the seas down most this year include Beaufort, Barents, Greenland Sea, and Baffin Bay. Meanwhile higher extents are showing in Chukchi, Kara, Laptev and Hudson Bay, resulting in 2016 only slightly below 2015 overall. The Central Arctic Sea is slightly above 2015. Region 2015166 2016166 km2 Diff. Comparing the Arctic ice extents with their maximums shows the melting is occurring mostly in the marginal seas, as expected in June. Note: Some seas are not at max on the NH max day. Thus, totals from adding losses will vary from NH daily total. It is clear from the above that the bulk of ice losses are coming from Okhotsk, Barents and Bering Seas, along with Baffin Bay-St. Lawrence; all of them are marginal seas that will go down close to zero by September, and only Baffin has more than 12% of its ice left. CPC shows the Arctic Oscillation waffling between positive and negative values, now forecasted to go positive. Generally, positive AO signifies lower pressures over Arctic ice, with more cloud, lower insolation and less melting. The outlook at this point is mixed. Historically, where will ice be remaining when Arctic melting stops? Over the last 10 years, on average MASIE shows the annual minimum occurring about day 260. Of course in a given year, the daily minimum varies slightly a few days +/- from that. Notes: Extents are in M km2. BCE region includes Beaufort, Chukchi and Eastern Siberian seas. Greenland Sea (not the ice sheet). Canadian Arctic Archipelago (CAA). Locations of the Bits and Pieces vary. As the table shows, low NH minimums come mainly from ice losses in Central Arctic and BCE. 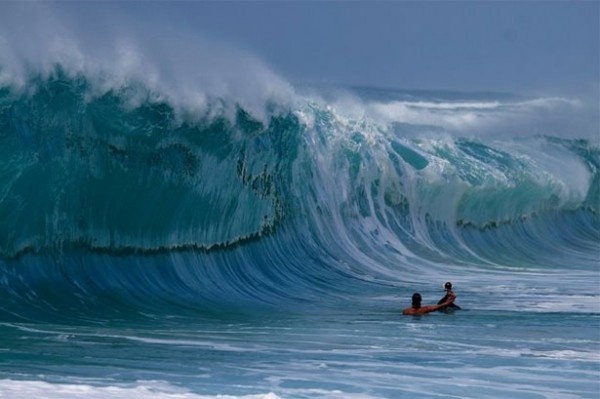 The great 2012 cyclone hit both in order to set the recent record. The recovery since 2012 shows in 2014, with some dropoff last year, mostly in BCE. We are well into the melt season, and the resulting minimum will depend upon the vagaries of weather between now and September. Early on, 2016 was slightly higher than 2015 in March, lower in May and now closing the gap. Note: 2016 melt season is starting without the Blob, with El Nino over, and a cold blob in the North Atlantic. The AO has been hovering around neutral, now possibly indicating cloud cover reducing the pace of melting. Meanwhile we can watch and appreciate the beauty of the changing ice conditions. Changing ocean circulation in the North Atlantic could lead to winter sea ice coverage remaining steady and even growing in select regions. The researchers analyzed simulations from the Community Earth System Model, modeling both atmosphere and ocean circulation. They found that decadal-scale trends in Arctic winter sea ice extent are largely explained by changes in ocean circulation rather than by large-scale external factors like anthropogenic warming. From the Abstract of Yeager et al. We present evidence that the extreme negative trends in Arctic winter sea-ice extent in the late 1990s were a predictable consequence of the preceding decade of persistent positive winter North Atlantic Oscillation (NAO) conditions and associated spin-up of the thermohaline circulation (THC). Initialized forecasts made with the Community Earth System Model decadal prediction system indicate that relatively low rates of North Atlantic Deep Water formation in recent years will result in a continuation of a THC spin-down that began more than a decade ago. Consequently, projected 10-year trends in winter Arctic winter sea-ice extent seem likely to be much more positive than has recently been observed, with the possibility of actual decadal growth in Atlantic sea-ice in the near future. An Australian university recently censured marine scientist Paul Ridd for “failing to act in a collegial way and in the academic spirit of the institution,” because he questioned popular claims among environmentalists about coral reefs and global warming. To understand what is going on, some background in organizational sociology is helpful. In past decades, researchers looking into organizational behavior concluded that the internal discipline inside the organization had to be stronger than the threats or enticements outside. Thus, an army has high regimentation and command drilling in order that soldiers follow orders and perform in the face of armed enemies trying to kill them. Police units operate in hostile environments and rely on similar training and disciplines. Slightly different examples include missionaries seeking to convert heathens, without themselves losing their beliefs, religous practices or ethics when surrounded by people of another culture. When it comes to corporations, most of them have sales departments who have a special camaraderie and rituals that keep them pitching skeptical customers in the face of rejection and losing trades to competitors. All this is context for recognizing that many scientists in the present research funding market operate as salesmen in order to protect and enhance their revenue streams. If they are prone to exaggerated claims, that goes with the role and territory. And if they are called to account for not having the back of fellow salesmen, that is also to be expected. 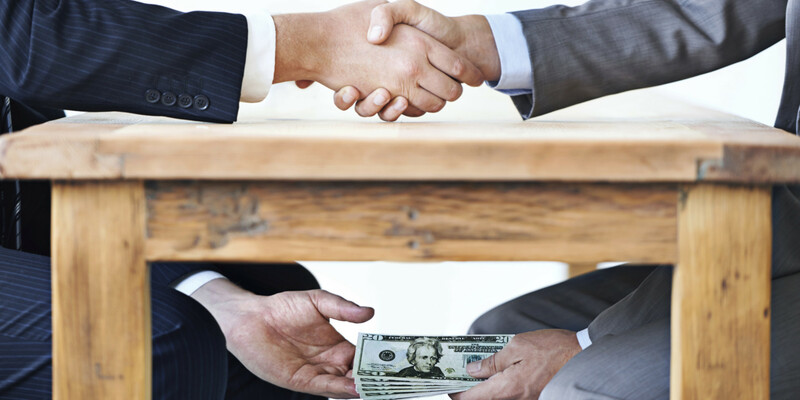 The behavior of climate scientists at James Cook University is a case of sales managers attacking the credentials of someone undermining their claims and threatening to dispel the fears upon which government funding is based. In the comments on a previous post (here) ren points to the declining NAO, with the implication that a cooling phase is underway in the North Atlantic SSTs. The cold blob in the North Atlantic was subject of a post here and elsewhere, and Paul Homewood posts today (here) on the increasing cold water, not only surface but coming from below. Dr. Gerard McCarthy is a lead researcher on the RAPID array project measuring the AMO heat transport and provides a good context on their observations and the implications for the climate cooling in coming decades. Our results show that ocean circulation responds to the first mode of Atlantic atmospheric forcing, the North Atlantic Oscillation, through circulation changes between the subtropical and subpolar gyres – the intergyre region. This a major influence on the wind patterns and the heat transferred between the atmosphere and ocean. The observations that we do have of the Atlantic overturning circulation over the past ten years show that it is declining. As a result, we expect the AMO is moving to a negative (colder surface waters) phase. This is consistent with observations of temperature in the North Atlantic. The Atlantic Ocean’s surface temperature swings between warm and cold phases every few decades. Like its higher-frequency Pacific relative El Nino, this so-called “Atlantic Multidecadal Oscillation” can alter weather patterns throughout the world. The warmer spell we’ve seen since the late 1990s has generally meant warmer conditions in Ireland and Britain, more North Atlantic hurricanes, and worse droughts in the US Midwest. However a colder phase in the Atlantic could bring drought and consequent famine to the developing countries of Africa’s Sahel region. In the UK it would offer a brief respite from the rise of global temperatures, while less rainfall would mean more frequent summer barbeques. A cold Atlantic also means fewer hurricanes hitting the southern US. My recent post The Coming Climate included a description of the orbital factors inducing natural cycles of warming and cooling far larger than any possible effect from CO2. Yesterday commenter Alberto Zaragoza Comendador took this further into a discussion of the uncertainties in paleoclimatology. He started by referring to a paper by Lindzen, which focused on only one of these dynamics: fluxes of equator-to-pole heat transport. The present note shows the importance of aspects of the forcing which lead to changes in meridional (i.e., tropics to higher latitudes) heat fluxes. These aspects are seasonal, and involve the distribution of heating; they do not necessarily involve changes in globally and/or annually averaged insolation. Thus, simple, commonly used notions of climate sensitivity as employed in Houghton et al. (1990) are not relevant. Indeed, the present mechanism can readily produce major changes in climate (including, as a by product, changes in the globally averaged temperature) in systems which are profoundly insensitive to a doubling of CO2. To assume (as was done in Hoffert and Covey 1992, for example) that major climate changes necessarily require high sensitivity to such changes in gross averaged forcing is clearly inappropriate. Somebody mentioned Milankovitch which reminded me of other thing. Check out the last paragraph. It explains why every paleo estimate of sensitivity is hopeless: even if you knew the temperatures, which you don’t really but even if you did, you’d have no idea what caused them. Lindzen uses the example of equator-to-pole heat transport but there are many more things that can cause climate to change, and we mostly know nothing about how they affected climate in the past. We have records of methane and CO2, but we don’t have records of cloud albedo, ozone, water vapor, vegetation… someone might quibble that we do have some records of vegetation and dust for example, but unlike CH4 and CO2 you cannot assume these dust or vegetation ‘levels’ applied globally. And we have estimates of how much area was covered in ice, but we have no idea how much dust that ice was covered with, or if the radiative forcing one could expect from the ice was really ‘apples to apples’ (i.e. of the same efficacy) as that of CO2. Now we know that as sea ice recedes the Arctic gets cloudier so the overall effect is about 1/3 of what you would expect simply looking at the decline in ice; we have no idea if the same thing would happen upon the disappearance of an ice sheet because we have never observed such a thing. Until recently we thought Greenland was reflecting less sunlight because it was getting dustier; it then turned out that, rather, the satellites’ sensors were getting degraded. We still have little idea how aerosols affect climate… yet some guys are trying to model the aerosols of the past. And they’re not even the same kind (today the main agent is sulphuric acid, before dust). (It’s funny that the ‘forcing efficacy’ issue has been raised about instrumental studies, and not about paleo papers that would be devastated if efficacy really changed much between forcing agents. For example, only about 20% of the forcing in LGM reconstructions is CO2). You cannot simply assume that whatever change in GHG concentration (or other ‘forcings’) took place at the time of these temperature changes was responsible for said changes. In fact, by excluding other factors (which you know nothing about) you will systematically overestimate sensitivity. That’s why paleo sensitivity disagrees with both energy budget and inter-annual (ERBE/CERES) estimates. It also explains in part why the range of sensitivity in paleo is so wide. Admittedly this is also a strike against sensitivity estimates using the instrumental record, but less so – because we have observations that allow us to rule out a good many ‘natural’ causes of climate change. We know that in the last 150 years the AMOC hasn’t shut down and there hasn’t been a massive change in equator-to-pole heat transfer. We know that since 1980 the amount of cloud cover has remained more or less the same, within a 5% band; the warming trend since then would be very difficult to explain from changes in cloud cover alone. And so on. Asking ‘yeah but what caused the clouds to change?’ is like asking why are there planets. The best example of non-radiative climate change is in fact Milankovitch cycles, which affect not the amount but the distribution of sunlight (well eccentricity changes the amount of sunlight, but precession and tilt don’t). Technically speaking, the forcing is zero; paleo estimates consider GHGs, ice sheets and vegetation/dust forcings but if one is strict they should be considered feedbacks. 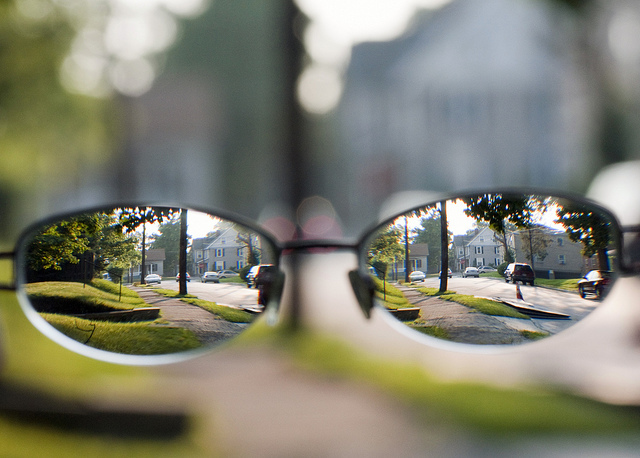 Sensitivity, calculated the way it’s done for observational estimates, would be infinite. You can also see how simply switching one of these radiative ‘things’ from forcing to feedback, or viceversa, can allow a researcher to arrive at a radically different sensitivity number. It’s all meaningless. The one advantage of the paleo method is that since there is enough time for the ocean to reach equilibrium you avoid that source of uncertainty. But that also means you cannot use it to estimate TCR. Anyway, as time goes on the estimates of aerosol forcing and heat uptake will get better and better. The instrumental studies will arrive at a number, if not for what sensitivity ‘is’, at least for what it has been for the last 150 years. The paleos will never arrive at anything. In the synopsis below, Gervais puts his study in context, followed by his conclusions. This is to be compared to more than 1350 peer-reviewed papers which express reservations about dangerous anthropogenic CO2 warming and/or insist on the natural variability of climate. Time series of sea-level rise are fitted by a sinusoid of period ~ 60 years, confirming the cycle reported for the global mean temperature of the earth. This cycle appears in phase with the Atlantic Multidecadal Oscillation (AMO). 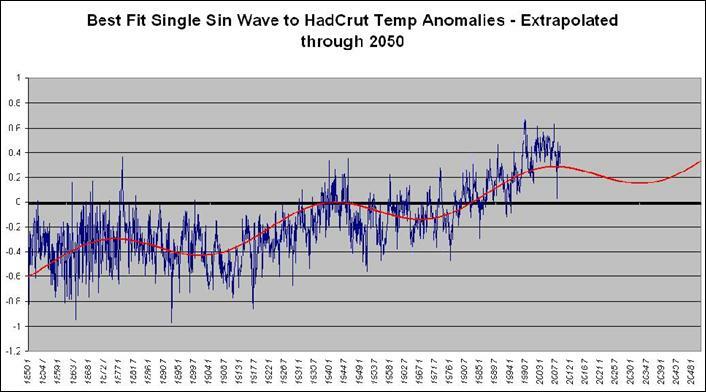 The last maximum of the sinusoid coincides with the temperature plateau observed since the end of the 20th century. A 60-year climate cycle is confirmed in sea-level rise and global sea ice area, as well as in measured temperature series. The four following indicators sign for the onset of the declining phase of the 60-year cycle. from model projections (AR5, 2013). The AMO index indicates the onset of a declining phase. A negative temperature slope is measured from 2002 to 2015 independently by different satellites in the low troposphere by Remote Sensing System (RSS, 2015) and by UAH (Spencer et al., 2015) as shown in Fig. 4. The plot is voluntarily restricted to 13 years, viz. less than 1/4 of the 60 year-cycle, to evaluate the sign of the tangent to the sinusoid. A deceleration of the sea-level rise measured by satellite altimetry is also found since 2002 (Chen et al., 2014; Cazenave et al.,2014). The correlation of yearly CO2 increase, therefore, appears not with MEI or SOI but with global mean temperature to which El Niño and La Niña contribute. This temperature/CO2 correlation may be tentatively explained, at least partly, by the solubility of CO2 into water which decreases with temperature, consistent with sea pH maps (Byrne et al., 2010). Warm temperature fluctuations favor CO2 release from the oceans which contain 60 times more CO2 than the atmosphere (AR5, 2013), whereas cooler fluctuations favor its oceanic Capture. Dangerous anthropogenic warming is questioned (i) upon recognition of the large amplitude of the natural 60–year cyclic component and (ii) upon revision downwards of the transient climate response consistent with latest tendencies shown in Fig. 1, here found to be at most 0.6 °C once the natural component has been removed, consistent with latest infrared studies (Harde, 2014). Anthropogenic warming well below the potentially dangerous range were reported in older and recent studies. On inspection of a risk of anthropogenic warming thus toned down, a change of paradigm which highlights a benefit for mankind related to the increase of plant feeding and crops yields by enhanced CO2 photosynthesis is suggested. The whole paper is well worth the read, and is chock full of links to sources and references supporting his analysis. In the comments below ren points to the declining NAO, with the implication that a cooling phase is underway in the North Atlantic SSTs. The cold blob in the North Atlantic was subject of a post here and elsewhere, and Paul Homewood posts today on the increasing cold water, not only surface but coming from below. The observations that we do have of the Atlantic overturning circulation over the past ten years show that it is declining. As a result, we expect the AMO is moving to a negative (colder surfer waters) phase. This is consistent with observations of temperature in the North Atlantic.